Hello. My name is Felix Bazgan. 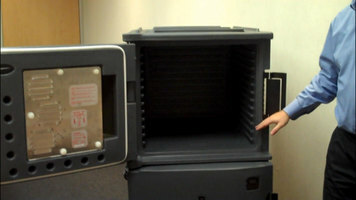 I’m the Marketing Manager for Cambro’s Heated Ultra Camcart 1600 or the UPCH1600. The UPCH1600 is the latest addition to our line of heated, electric and portable, insulated food transporters. As with our UPCH400 and 800 units, we expect this product to have broad applications with strong interest from caterers, schools, correctional facilities, and many other segments that require a large capacity, off-premise or satellite feeding. From the UPCH400 to the UPCH800, and now the UPCH1600, all Cambro H-Series Electric Transporters feature: a tough and durable polyethylene exterior; CFC-free foamed-in insulation; molded-in bumpers for added protection; gentle, non-cooking heating for 150 to 165 degrees Fahrenheit, or 65 to 74 degrees Celsius, pre-heating in approximately 45 minutes. After reaching temperature, you’re going to unplug the unit. For transporting, contents are held at safe temperatures for over four hours. On-site recovery time to temperature after door is held open for 30 seconds is a mere three minutes. On-screen are the electrical specifications for the 110- and 220-volt models. All models of the UPCH1600 are very energy efficient and energy star qualified. Let’s take a look at the heated doors. The heater inside every door is designed to circulate the heat throughout the compartment, vertically, to maintain consistent temperatures. The electrical plug for the heater is on the front of each door. The UPCH1600 has an on/off switch next to the plug. There are two lights on the switch. When the red light is illuminated, the power is on. The amber light indicates that the heater is on. The heater will cycle on and off to keep the temperature between 150 and 165 degrees Fahrenheit or 65 to 74 degrees Celsius. The UPCH1600 features a digital thermometer with a solar power display on the exterior of the door. No need to open the door to check on the interior temperature. The digital display is factory set to record Fahrenheit for 110 volt and Celsius for 220 volt. You can change from Fahrenheit to Celsius or vice versa by the following: Peel off the cover from the external display; remove the two set screws; and then selecting either Celsius or Fahrenheit. The capacity of the UPCH1600 is tremendous. 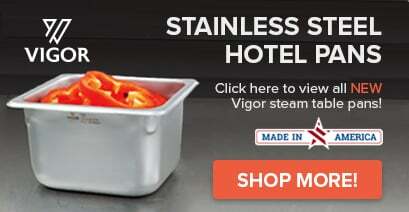 It holds sixteen full-sized, four inch or ten centimeters deep pans. Based on one serving size of 280 mL, it adds up to 720 servings, making this unit perfect for large events. Here you can see some of our high-heat pans with grip lids. The mobility of the unit is unsurpassed. When unplugged, each power cord stores conveniently on the side of the unit. Use the ergonomic, molded-in handles to easily maneuver the UPCH1600. We’ve seen the durability, mobility, and capacity of the UPCH1600, the latest addition to the H-Series. No matter the event size, the location, or the serving time, the UPCH1600 is unbeatable. Discover the broad applications that make the Cambro Heated CamCart UPCH 1600 the premier selection for caterers, schools, or any large events that require tremendous durability, mobility, and capacity in their food transporter. 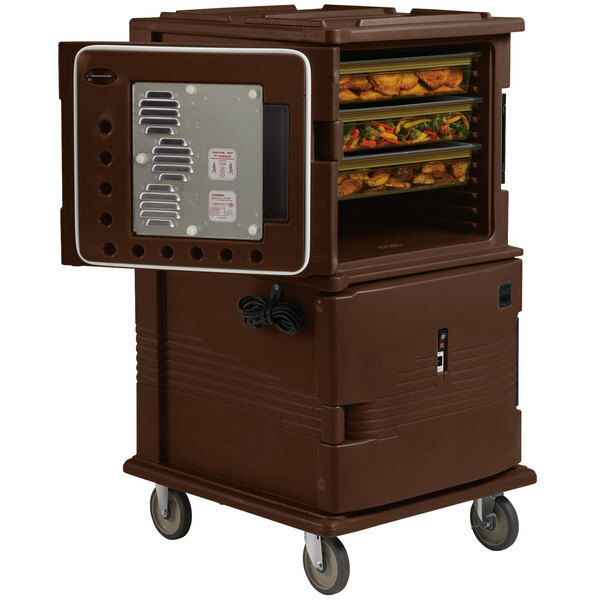 The Cambro UPCH1600131 dark brown Ultra Camcart extends hot food holding time to ensure food safety! It's perfect for transporting to off-premise events, corporate parties, delivering food from central kitchens to satellite locations, or longer catered events. After its 45-minute warm-up time, the Cambro UPCH1600131 Ultra Camcart will maintain safe food holding temperatures for up to 4 hours once unplugged, thanks to its thick, foamed-in polyurethane insulation! Its tough, polyethylene exterior stays cool to the touch, while a vent cap equalizes pressure and releases steam. The 9" nylon latch opens and closes easily, secures tightly, and will not bend. Ergonomically placed, molded-in handles won't break, and allow for easy transport. The interior of each compartment features 12 evenly-spaced molded-in rail sets, to accommodate varying pan depths and maximize capacity. This item has been Energy Star Qualified by the US Environmental Protection Agency and the US Department of Energy, making it an energy-efficient product.